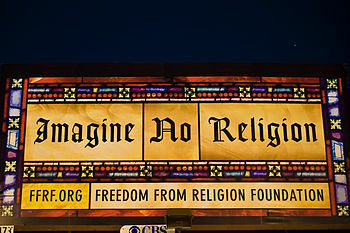 If I were an atheist, I would be more than a little mortified by the antics of the Freedom from Religion Foundation. It seems that they are determined to make their fellow atheists hated pariahs where ever they are by offending as many believers as possible. Read about their latest efforts to eradicate any public mention religion in Todd Stearns’ Townhall column. The Freedom From Religion Foundation blasted what it called the “open defiance” of a valedictorian who delivered The Lord’s Prayer during a high school graduation ceremony last Saturday in South Carolina. Roy Costner, a senior at Liberty High School in Pickens, created national attention when he ripped up his pre-approved graduation speech and instead led the crowd in a recitation of The Lord’s Prayer. A video of the speech was posted on YouTube and has since gone viral. It shows the 18-year-old setting aside his speech. “I think most of you will understand when I say, ‘Our Father, who art in heaven,” he said as the crowd began to cheer. They hold the school district responsible for Costner’s open act of defiance and what they called a string of problematic religious violations. “The valedictorian who so insensitively inflicted Christian prayer on a captive audience at a secular graduation ceremony, is a product of a school district which itself set an unconstitutional example by hosting school board prayer,” FFRF co-president Annie Laurie Gaylor said in a prepared statement. He got the idea to deliver the prayer about two weeks ago when he learned that he had been selected as the top academic student in the graduating class. He was summoned to the principal’s office. The prayer controversy had gripped the small South Carolina community for quite some time – and many locals took issue with a group from Wisconsin causing problems. The valedictorian inflicted Christian prayer on a captive audience? What about the Freedom from Religion Foundation inserting themselves and their values into a town in South Carolina where they were not wanted? Judging from the fact that the audience cheered, I am not sure how many of them felt that the prayer was inflicted upon them. If there were any atheists in attendance, I think they would have preferred to let their minds wander for the minute or so it would have taken Costner to say the prayer, rather than make a fuss that would be completely unnecessary. I think that the people who are running the FFRF need to read the constitution and especially the first amendment. By prohibiting Costner from praying in public or talking about his religion in his speech, wasn’t the principal prohibiting the free exercise of his religion? By demanding and enforcing a state sponsored secularism, isn’t the FFRF insisting on establishing an official state religion, or at least an official state ideology? Who is being aggressive in forcing their beliefs and values on others? Who is being the bully here? Christmas is almost upon us and no Christmas season would be complete without the Grinches coming out to steal Christmas from all of us. I’m putting together a few stories I’ve found here and there.Grinches come in all shapes and sizes. Some ruin Christmas for a single family. Others try to ruin Christmas for whole communities. First, there is the attempt by the Freedom From Religion Foundation to force a Texas Town to take down a nativity scene. I have already mentioned this here. The so-called War Against Christmas is coming to a head in a Texas town Saturday, as protesters from across the country will be rallying against a nativity display put up in front of the town’s courthouse. A Wisconsin-based group called the Freedom From Religion Foundation took major issue when they heard that the Christian display was put up outside of the Henderson County courthouse, prompting them to write a letter of complaint. But a letter from out-of-state isn’t going to leave the people of Henderson rattling in their cowboy boots, as the Attorney General Greg Abbott has boosted the beef to a Texas-sized proportions. ur message to the atheists is don’t mess with Texas and out Nativity scenes or the Ten Commandments,’ Mr Abbott told Fox News & Community. The FFRF sent a banner to the court house that it wanted displayed, with a very different message then the birth of Christ. ‘There are no gods, no devils, no angels, no heaven or hell. There is only our natural world. Religion is but a myth & superstition that hardens hearts & enslaves minds,’ it finished. A mystery man put the sign up on Wednesday on a tree next to the nativity scene in Athens, Texas, about 70 miles south east of Dallas, but it was removed shortly by sheriff’s deputies about 10 minutes later. Though Judge Richard Sanders may have ordered its removal because of the missing forms and compliance with city procedures, the state’s Attorney General is taking a much more philosophical stance. There is a school district in New York that has banned the phrase “Merry Christmas”. 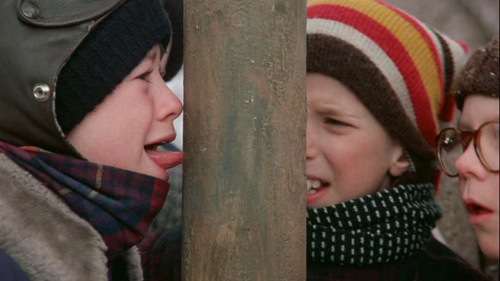 New York State’s Batavia City School District is taking the “merry” out of Christmas. The school board is banning the use of the phrase “Merry Christmas” and they have a list of other holiday activities deemed “unacceptable”. The school board has asked principals to enforce a policy banning Christmas and Hanukah decorations in classrooms. In a memo titled “Religious expression in the schools” the board lists unacceptable holiday activities. Teachers have been told they cannot use the phrase “Merry Christmas” and it quote “should not be included in any spoken or written remarks.” That includes songs. I guess the war on Christmas has expanded to include Hanukah. Maybe I shouldn’t be too surprised at that. A festival commemorating people who fought for the freedom to practice their religion is not the sort of thing we want to teach kids nowadays. Here is a neighborhood association that takes exception to one man’s Christmas decorations. It is not unusual to see a crowd in front of Thyno Zgouvas’ house. “We come out every year. It’s probably the best show in town,” says one passerby. For eight years Zgouvas has wowed folks with 70,000 blinking lights. This Christmas, that number was cut in half. “The homeowner’s association decided that it was a nuisance–which I completely disagree with,” says Zgouvas. But other residents–like Terry Phillips–raised concerns about the amount of traffic the show brings to the neighborhood. Others worried it would be difficult for emergency vehicles to find homes because of it. Zgouvas downsized the show to appease the homeowner’s association–all the while making a point of his own with HOA signs and blow-up grinch figures behind them. “They’ve blown it way out of proportion, I feel,” says Zgouvas. Each year Mr. Zgouvas puts music to his light show and all you have to do is turn up your radio. He says he does it to keep music from blaring out into the neighborhood. This year, it’s the theme to the Grinch. “I have to take my stand just because it’s Christmas lights,” he says. I understand their concern about traffic, but still. The Obama Administration tried to get into the season with a Christmas Tree Tax, but wisely backed off. I hope Obama fired whoever came up with that idea. Actually, it seems that the Christmas Tree growers wanted it. Let’s get one thing straight at the outset: Yes, the Obama administration did propose a tax on Christmas trees, and no amount of obfuscation by its knee-jerk defenders can change that fact. The Department of Agriculture planned to impose a 15-cent duty on every Christmas tree sold by tree-sellers who unload more than 500 trees a season. That is an excise tax — a tax on a specific product, levied per unit of sale, just like federal taxes on tobacco and gasoline. Was the tax sought by Christmas-tree growers? Indeed it was. They wanted the federal government to run a Christmas-tree promotion campaign, much like those it runs for eggs and other agricultural products. But that’s no excuse. As Ilya Schapiro of the Cato Institute notes, this little tale epitomizes everything wrong with government today. 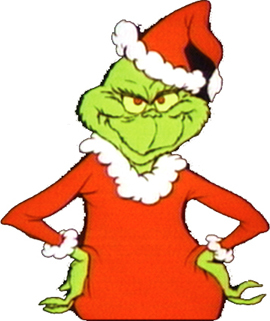 Here is a Grinch that really did steal one family’s Christmas. A family came home to find the gifts under their Christmas tree stolen. The family arrived at their apartment in the 500 block of F.M. 1488 in Conroe Wednesday and found that their front door had been kicked in. Conroe police said the thieves unwrapped all the presents before taking off with the ones that they liked. Cunningham, a single mother, also has an 11-year-old daughter whose Christmas was destroyed. “Why me? Why this apartment? Why here? Why my kids’ gifts?” Cunningham asked. Here is a slightly different take on Christmas. Those Puritans seem to have been as much fun as modern secularists. And, finally, to end on a lighter note, here is a scientific discussion over just how strong the Grinch actually is.